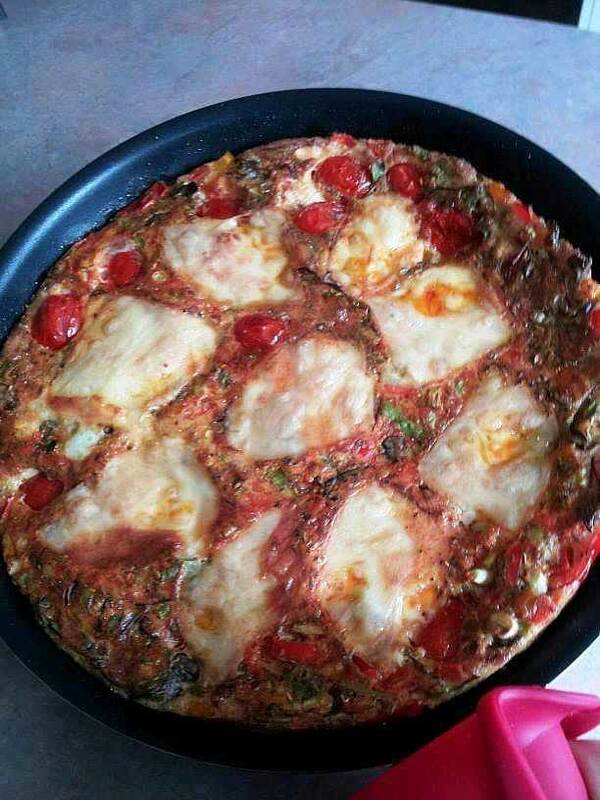 A frittata is basically a crustless quiche. In Spain they call them Tortas or Tortillas. They can be made with practically any vegetable. The key is to use good quality farm fresh eggs if you can get them. The difference is notable. Not only do they have vibrant yellow yolks, but they are firm and flavorful. And if you are eating legitimately cage free eggs, they are actually lower in cholesterol and saturated fat. Better flavor and better health. That’s a win, win situation. Place butter in a 10 inch skillet over medium heat. Once the butter has melted, add onion and cook until it begins to caramelize, approximately 6 mins. Add garlic and cook for one minute or until fragrant. Add broccoli and season with pinch of salt, pepper, paprika and Herbes de Provences. Add vermouth or sherry and cook broccoli until most of the liquid has evaporated. Add sun-dried tomatoes and sauté for a couple of minutes or until the tomatoes begin to rehydrate. In a separate bowl, combine eggs with milk, pinch of salt and pinch of pepper and beat until well combined. Pour eggs over the broccoli and sun-dried tomatoes. Stir well to combine. Sprinkle the top with the cheese and place in a preheated 375 degree oven for approximately 10-15 minutes or until the eggs have set and the top of the frittata begins to brown slightly.